Marketing blunders. The business world is astonishingly and almost comically rife with them. Whether you’re at the helm of a multi-million dollar company with a lavish product range, or a one man show you really have to get your marketing efforts bang on, so that you’re branding yourself clearly while pocketing new clients with each marketing campaign. 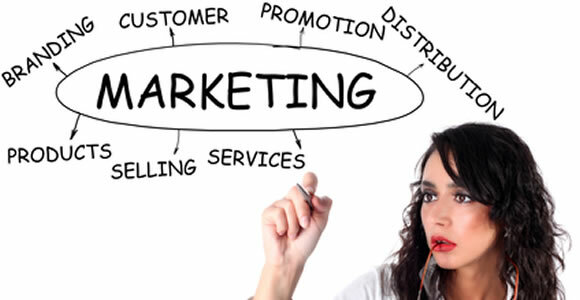 With the average company allocating about ten percent of its total spend on marketing it’s clearly something that organizations take extremely seriously. It beggars belief then that supposedly talented managers taking home six figure pay grades are able to get their marketing campaigns so utterly, thoughtlessly and horribly wrong. Don’t believe me? I’ll prove it to you below with a compilation of real life marketing gaffs that could not have been better scripted by the greatest comedians of all time. Let’s begin with the Campana Company in the United States, who in the midst of the global AIDS scare in the 1970’s and 80’s (and I swear this is true) came up with a diet candy called Ayds (pronounced, yes you guessed it – Aids). The marketing message was obviously meant to convey the message that the diet candy “aids” weight loss. Unfortunately, the marketing message that appeared to have actually been grasped by the public at large was that the product was linked to the life threatening disease, and rather unsurprisingly, Ayds flopped in the most spectacular of ways. Your marketing message really has to speak to potential clients. You need to intimately know who your customers are, and what pushes their buttons. A good marketing message for a product aimed at seniors would be considerably different to one that targets young twenty-somethings. Age, of course, is only one consideration. What economic and social groups do they squeeze into? What common challenges do they face? What are their hopes, dreams, aspirations and fears? A well drawn out marketing campaign is able to subconsciously tap into these things and build emotional capital for your brand. Your marketing message needs to clearly lay out the boldest selling points for your product. It’s one thing producing the perfect widget that your target market desires, it’s quite another thing altogether to convey that message to them with ubiquitous clarity. The internet has brought more to the world than just rapping grannies. Marketing online is forming an increasingly larger portion of marketing budgets. If you’re still faffing about with flyers and classifieds in The Potters Bar Times then you may not be reaching as large as audience as you could, by embracing the plethora of local and international internet marketing options available at your disposal. Aside from SEO and pay per click, you may also want to investigate social media and mobile marketing channels to market your brand. Cross border marketing can be painstakingly tricky, because aside from trying to hammer home the unique selling points of your product concisely, cultural variances can create almost comical mishaps for new product launches. Product names can get skewed to strange or even downright rude meanings in different dialects, and this could especially pose a problem if the marketing team is not fluent with the language in the country of launch. In fact, there are several examples of international brand launches that have ended up being the source of mirth and ridicule, sometimes by absolutely solid companies. Earlier on, I promised you more marketing follies, and here they come. I think deep down, we all have a softspot for Swedish furniture giant IKEA – however, in 2005 it inexplicably launched a childrens workdesk called “Fartfull” within the US market – apparently not a single marketing executive identified any possible flaws within the name. This was arguably trumped by Korean giant Nintendo who, also in 2005, launched the (then) astonishingly savvy touch screen Nintendo DS system. It was all going so well too, until the launch of new software – a dictionary for children, with the unique selling point being user interaction with the DS touch screen. Inexplicably, after what must have been months of deliberation, the think tank for the dictionary software finally came up with a name they thought would make everyone stand up and take notice. Well few could argue about that – they called it the Touch-DIC. Let’s end the examples on a prosperous note. It’s hats off to the Swedish marketing department at cat food company Purina – they renamed their cat food brand for the UK to the well known Felix brand, thus avoiding a potential naming catastrophe – back in Sweden, it’s called “Pussi”. Good marketing, on the surface, shouldn’t be especially difficult. It’s really all about understanding the target market, communicating your key benefits and coming up with a brand name that isn’t palpably moronic or offensive. Excuse the arrogance, but it doesn’t seem too hard to me. Could Facebook Be Overhyped For Business?